Imagine the glee someone felt when they responded to a Craigslist ad for “Chevelle parts,” and found an unused Chevrolet 427 ZL-1 big block V8 still inside the original plywood crate. For those who don’t know, the ZL-1 V8 is the cream of the crop when it comes to Chevy V8s from the muscle car era. Today, a factory, ZL-1-powered first-generation Camaro can easily fetch over half of a million dollars at auction, with some even approaching seven-figures. HotRod has the scoop on this discovery, reporting that the engine was purchased directly from Chevrolet in the early 1970s, and then stored in a small garage closet in rural Tennessee. 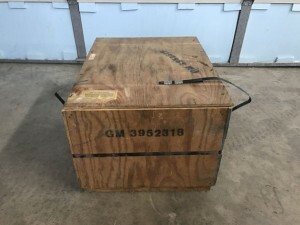 It remained there untouched, and the original Chevrolet Heavy-Duty Parts 3952318 ink stamp is still on the crate, clear as day. Casting of the ZL-1 engine was handled by The Winters Foundry in Canton, Ohio. 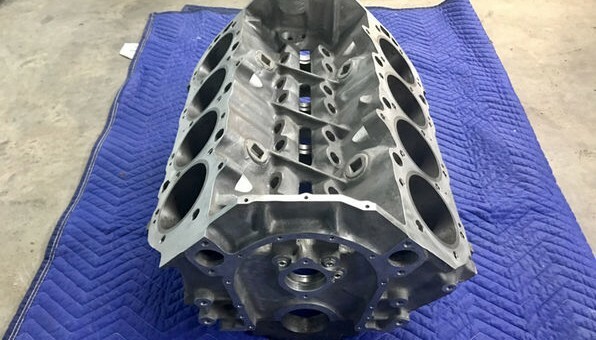 The blocks that were cast for production cars used the 3946053 and 3946052 casting numbers, and were drilled for a fuel pump and a starter – although at the start, the ZL-1 engine was meant to be used in Can-Am road racing, not production vehicles. Thanks to the efforts of Fred Gibb, Chevrolet produced fifty 1969 Camaros with the ZL-1 engine. They were to be used in NHRA Super Stock drag racing competition (like today’s COPO Camaro), which made sense as the aluminum ZL-1 was about 100 pounds lighter than an iron big-block. The engine nearly doubled the price of a Camaro, however, making them very hard to sell. Eventually, Gibb would send 37 units back to Chevy, who then redistributed the units to various dealers throughout the country. Old-school Chevy die-hards already know the tale of this ZL-1 V8, and already understand its exclusivity. The fact that this may just be the most preserved sample of such a piece of automotive history is enough to make this a remarkably valuable find. And with the spotlight on the modern-day Camaro ZL1 making it all the more relevant, we think this engine could go for a very, very sound price. What do you think? Is this an over-hyped hunk of metal, or does its significance make it a priceless gem? Sound off in the comment section below. That picture brings back a lot of memories. Obviously,those blocks used cylinder liners unlike late aluminum big blocks that ran the pistons on the aluminum bores. Additionally, cast into the block are four ‘ears’that are in the valley above the lifter bores (two on each side). The aluminum cylinder heads had 4 extra tapped holes that allowed you to better seal the head gaskets by using four bolts running through those ears into the cylinder heads. The cast iron block did not have these . I’m pretty sure the block was a 356 alloy with a T6 temper. What an incredible find. I saw a ZL-1 Camaro out front at Berger Chevrolet in Grand Rapids,Michigan in May of I believe 1969 when I was picking up an open chamber L-88 motor. Seems like yesterday…..
How much is the price. Just saying “427 Chev V8” is enough to get you excited. Now you have a picture. What would it be worth if it was fully build complete engine? I used to work at a factory right beside Winters foundry.